Description: From 8 to 18 inches tall. 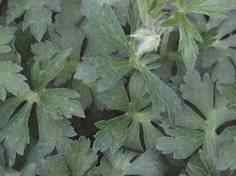 Leaves are deeply cleft into 5 to 7 segments with fingerlike lobes. 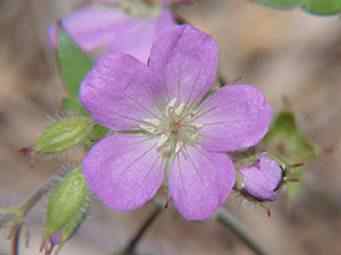 Several other species of geranium are basically similar except with smaller flowers and leaves. 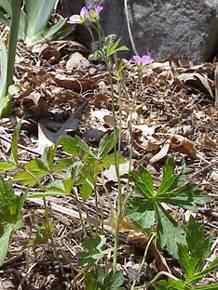 Also known as "Spotted Crane's Bill". Medical Value.